Over the course of a week, we spoke to a diverse range of people who enjoyed the view from seat K15 in the Orchestra Stalls. Retired set and costume designer. Saw Ceremony of Innocence/The Age of Anxiety/Aeternum. This article was originally published in the Royal Opera House Magazine, received quarterly by the Friends of Covent Garden. 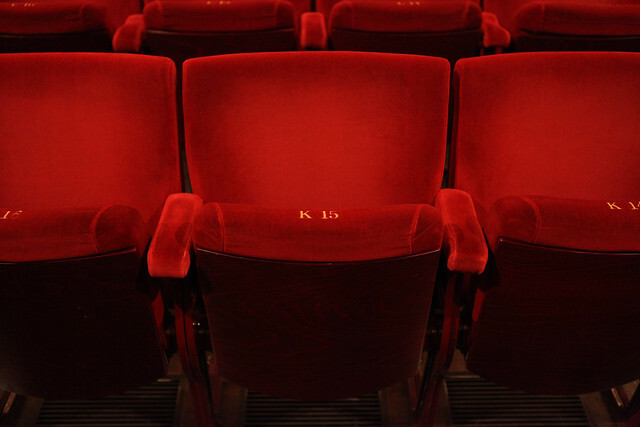 Find out more about naming a seat. What a fantastic idea to interview people from different walks of life, all different ages with their own stories to tell. More of this idea, please! The Royal Opera House serves those under 30 very well, with great education programmes for the very young and a special Young Friends scheme if you are under 30. But when you are 'past it' at just 31, yet not elderly enough to be considered a viable legacy prospect, the Royal Opera House seems less keen to engage. I was lucky enough to see Ceremony of Innocence/The Age of Anxiety/Aeternum on the first night. The stage was filled with lots of fantastic dancers in their 30s and it was thrilling to see what great artists of my own age can achieve. Don’t get me wrong, I love Royal Opera House performers, and welcome audience-members, of all ages. I just wish that Emma Baker and others would not completely ignore audience members in their 30s when writing for the Royal Opera House. I can't wait for Onegin next week, under the baton of Dominic Grier and with the exceptional Sarah Lamb as Tatiana. Both Grier and Lamb are my age and it has been wonderful to follow their careers over the past 10 years, from Grier's time as a Jette Parker Young Artist and Lamb's start with the Royal Ballet as a First Soloist. In fact, Onegin marked my very first visit to the Royal Opera House when I was in my 20s and, believe me, I was hooked! A really fascinating idea. I would love to hear more from other seats. This is a really interesting article! I love the Royal Opera House and recently came to the Royal Balket with my daughter for the first time! It was wonderful! Keep up the great work and thank you. Would love to sit in K15. How about interviewing people who can only just scrape together enough to sit in the nose bleed section of the amphitheatre. Why are so many ROH seats completely out of each to so many people? It's worth having a look around the auditorium - tickets aren't necessarily as expensive as you may think. This Season more than half of all tickets are £55 or under, and more than 200,000 tickets are less than £25. More than half of ballet tickets are £40 or below. These aren't necessarily in the Amphitheatre either - In the next few months Box seats are priced from £20. Great idea these interviews, thanks! I don't think I ever sat in K 15, but as a child my father bought tickets from Keith Prowse, and we always had the same stalls seats -- row N? As a coincidence, when my husband took me once, we ended up in the same seats. I live in Cornwall now, a bit far to come, but the ROH is always very special.